Turning Vision Into Action: Crossing The Teaching/Learning Divide Together! 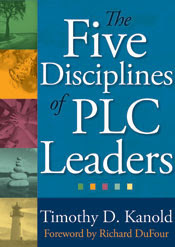 Those that read this blog know that I have dedicated most of my professional life to the improvement of school leadership in general, school cultures, and most importantly my content discipline – mathematics. As a Chicago kid, I began my first teaching job out of college in 1973 in a very rural place called Stillman Valley, Illinois. I was the math teacher for grades 7-12. Yes, THE math teacher. For those readers from more rural areas you know what I mean! I initially took the job in the northern middle part of the state because I was also offered the boy’s freshman basketball and head boy’s baseball coaching positions. And I loved to use chalk! But soon enough I knew why I was really there. I had known since I was 17 years old and declared that I was going to be a math teacher – right there in our high school newspaper! Teaching was my passion. Math was my best subject and only later in life did the leadership stuff follow. However, I also realized I did not really know enough mathematics to teach middle and high school math very well, at least not to all of my students. I was too raw to understand my teaching role in crossing the teaching/learning divide with students. During the 70’s there not only had been a “Back to Basics” mathematics movement, math wasn’t yet considered as necessary for everyone. You might find it hard to believe, but back then less than 50% of students were allowed to take Algebra 1 before high school graduation. And even of those 50%, far fewer actually passed the course. And to be completely revealing, algebra was a pretty boring course for most students. I found this cultural mindset very disturbing personally – even then while in my twenties. I wanted my students to love math and find it exciting just the same as me. And, more importantly I assumed they all wanted to have a chance to go to college – at the very least Rock Valley College, our local community college just a few miles away. And in my world, mathematics (especially algebra) was a vital key to getting there. So, I had a dual dilemma: How could I open the doors for more students to learn the mathematics needed for a chance to go to college (especially students who did not like math very much), and how could I convince my Principal and my community this was an important issue? High School mathematics (at least algebra and geometry) wasn’t for everyone they kept assuring me. From my perspective the lack of access to a college preparatory curriculum seemed like such a social injustice. This dilemma such a long time ago, is not so far fetched today is it? I lost on both counts during my six years at Stillman Valley. First I did not know how to teach differently than the straight lecture approach I had learned in undergraduate school. In general I only knew enough to study what was in my textbooks. I had to let the textbook do my thinking for me. And as the only teacher in the school, there wasn’t a lot of collaboration going on. Thankfully I had a mentor – Al Foster, willing to talk with me – a long distance call back then on a 4 party line! Second, I did not have the political skill or savvy to convince the community that college was not a threat to their sons and daughters. No doubt, there were a few victories along the way. 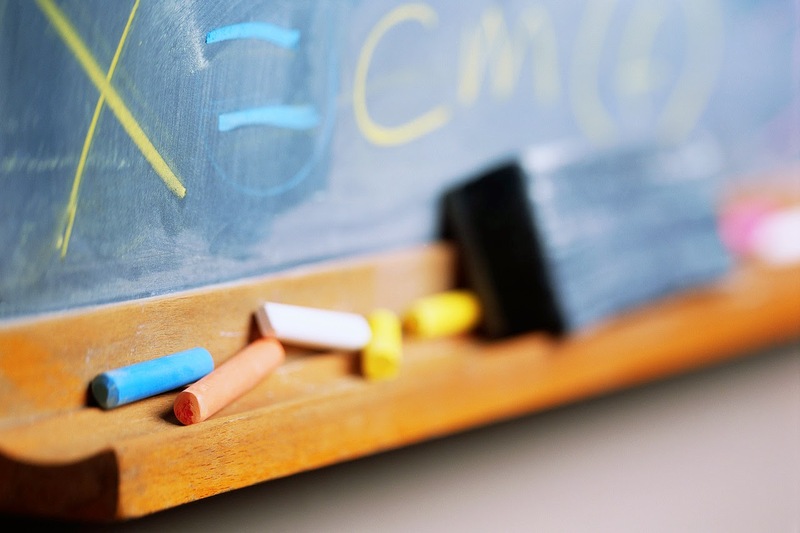 More kids started taking math classes and the school district added a math teacher! We started a math club and a math team that rocked out! I met with many parents in their homes to change their mind about college – I was my own little crusader for a while. And I gained a lot of respect for my elementary school colleagues and how hard it was to teach mathematics in elementary school as well. 1. As teachers we never have enough wisdom – Of course back then we did not have the Carol Dweck Mindset research that supported the need for every teacher to embrace a growth mindset. And that there should be a deeply held belief that we can and should work to improve our own knowledge base every day as we seek out ways to cross the teaching/learning divide. 2. Math class must be fun and engaging – I always thought that math teachers should think like an elective class teacher. You know, imagine students (K-12) didn't have to take math! What if it was optional? How could we make them want to be in math class? How could we engage them in learning mathematics? Back then I remember being so inspired by Zal Usiskin’s (of the University of Chicago) teaching that mathematics needs to be applied and have relevance for students. 3. The textbook cannot be the sole authority – Many of our professional colleagues on the Mathematics At Work™ team are textbook authors, including myself. And I believe in what we write. 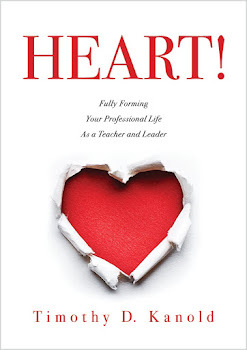 And yet, this summer, a great friend and colleague - Rick DuFour - during one of our panel discussions at a PLC At Work Institute explained to the audience “If you take away the work, you take away the learning” for the teacher and the team. In my early years, I had become so book dependent, that my own learning became stunted a bit. The textbook is and should be a great resource, but just that – one of many resources used as your own knowledge and understanding of how to present the mathematics content develops and matures. 4. As teachers we need to collaborate and work together – Although I had no understanding of what this meant back in the 70’s eventually by the mid 90’s we knew beyond the shadow of any doubt, that the best strategy to achieve the expectations of mathematics standards was to create schools and districts that operate as professional learning communities. I just knew that I missed the opportunity in those early years to grow my own skill due to the lack of relating to and learning from the knowledge and skills of others – on a daily basis. 5. Every child has the right to be prepared for college – This social justice issue was ingrained in me. I am not sure why. Only that I observed a K-12 system that essentially sorted students out as early as 6th grade and that it was my beloved discipline – mathematics - that was often the root source of that injustice – especially among minority groups of children. I was too young at the time to understand it really. But I knew it wasn’t right. And, as a math teacher how much power did I have to change it? Was math really only for the selected and talented few? Was algebra for all just a catchy phrase? By 1980 NCTM released a 29-page pamphlet titled an Agenda for Action. Click here and go to the link provided. You will see that the 8 recommendations from 35 years ago still stand on solid ground today. And they are embedded in the writing, beliefs and the deep teaching of our Mathematics at Work™ team. Somewhere during this time, I decided to dedicate my career to those tenets – and to the hope they provided for all children. This report, along with NCTM’s Curriculum and Evaluation Standards in the same year, has shaped our Mathematics At Work™ thinking and belief structures over the past 25 years. And represents the fundamental foundation of our thought leadership as expressed in our professional development series, Beyond the Common Core: Mathematics in a PLC At Work™ being released now. 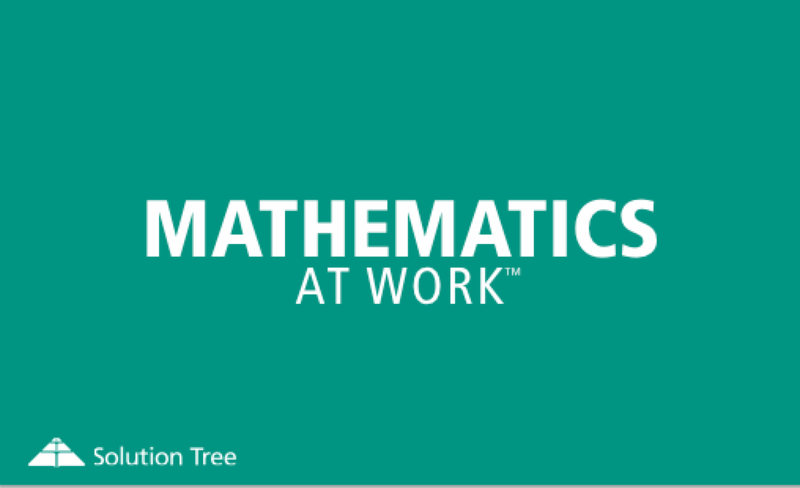 Last week we launched our Mathematics at Work™landing page with Solution Tree, our work being released certainly stands on the shoulders of the giants and the thinkers in front of and all around us (a paraphrase borrowed from Newton), allowing us to stand taller and see further because of that thought leadership. It is our hope that somehow, we provide a shoulder for you to stand taller and see further as well. As you pull children across the teaching/learning divide – one by one.